Welcome to the latest news from Piano Push Play! — Piano. Push. Play. Welcome to the latest news from Piano Push Play! 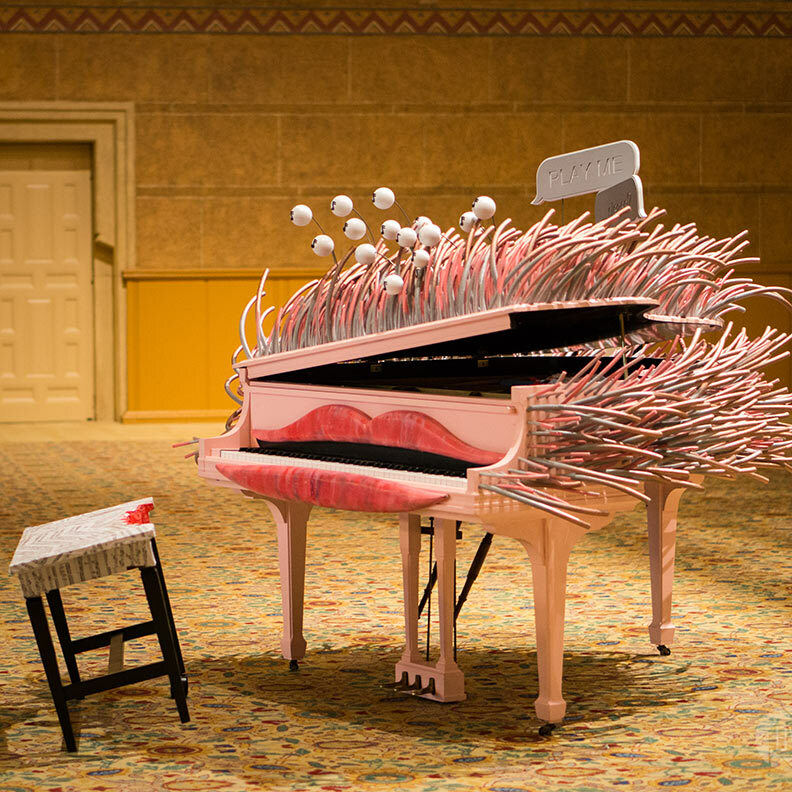 Start the holiday weekend right with a free concert on the Portland Art Museum plaza on one of our most eclectic looking and sweetest sounding pianos, "Fur Elise". Beginning at 7pm we will have sets of music from amazing local pianists. Becca Schultz will lead off the evening and Mitchell Falconer will close it off. Come join us. Our big kick-off party last week was a blast, and we couldn't have done it without the help of a whole bunch of people. Rob Bearden and the whole Portland Art Museum staff were inspirational and energetic. They worked tirelessly to make the event a success. Eric Lindauer and our board of advisors are incredibly supportive. And our designers... words cannot express how wonderful and amazing these people and their pianos are -- you simply must come see these pianos. There are lots of opportunities coming up all summer long. Keep checking our here for updates. Designer Maureen Long shares her insightful journey to creating this colorful delight, named in honor of piano prodigy Anna Fedorova. Our creative director recently talked to the Portland City Council about our mission and purpose. Newer PostThe pianos are moving and the hills are alive with music. Come play with us!